I’ve been a Jack Reacher the novel character fan for a long time. I’m such a loyal fan that when Tom Cruise was cast as Reacher I vowed to never pay to see the movie. Any true Reacher fan knows that Tom is nothing like the novel character. So far I haven’t watched it and I have no real plans to do so. A few months ago I was in the library for a Kitchen Table Meeting and they happened to be having a book sale. *cue my fangirl scream* Of course I purchased as many books as I figured I could sneak into my house without AB noticing as possible. 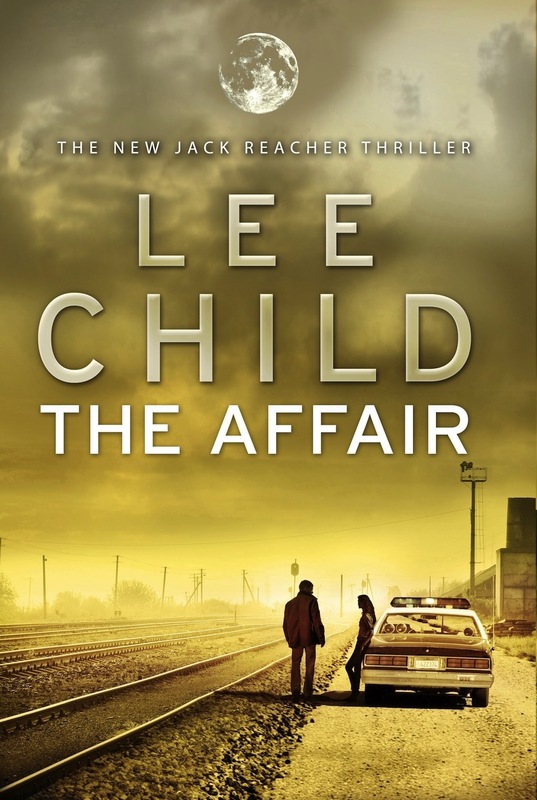 One of those library finds was the Audiobook version of The Affair by Lee Childs. Though this book is number sixteen in the series it is written as a prequel and gives us the back story to our beloved hero. In this book we are introduced to a different Reacher, one who is still enlisted in the military and sent to Carter Crossing Mississippi, a small town which would not exist if not for the fact that they have a flourishing Army base. Fort Kelham houses elite Army Rangers who operate covert operations which if exposed could place the US in a very unsavory position. All is well for the small town and the base until the girlfriend of one of those elite rangers is found murdered with her throat slit from ear to ear. A war tactic any Ranger worth his salt could perform in his sleep. So who done it? The ranger? Another ranger? Or hopefully for the military’s sake someone from the small town of Carter. Reacher has one directive: go to Carter undercover, make friends with the local police, find out what they know and prevent them from uncovering anything that could harm the Army’s reputation. This should be simple enough but the local sheriff is a breathtakingly beautiful woman named Elizabeth Deveraux who is as determined as Reacher is to unwrap the different layers of this mystery which turns into more of a conspiracy when they realize that the dead woman’s boyfriend is the son of the senator who chairs the Armed Services Committee. Even more so when it’s discovered that this woman also had a relationship with the senator in question. Reacher and Deveraux find themselves in a race against time as more people are killed and someone attempts to bury the truth as fast as Reacher can uncover it. In this book Mr Childs shows readers that Reacher has always been committed to the truth even if by exposing it he will lose the one constant thing he has had in his entire life; his military career. This book is definitely one of my favorite Reacher novels. I spent a lot of time counting the hours until I could get into my car and get transported back to Carter Crossing. It has inspired me to start from the beginning and reread all of the novels, Killing Floor here I come.